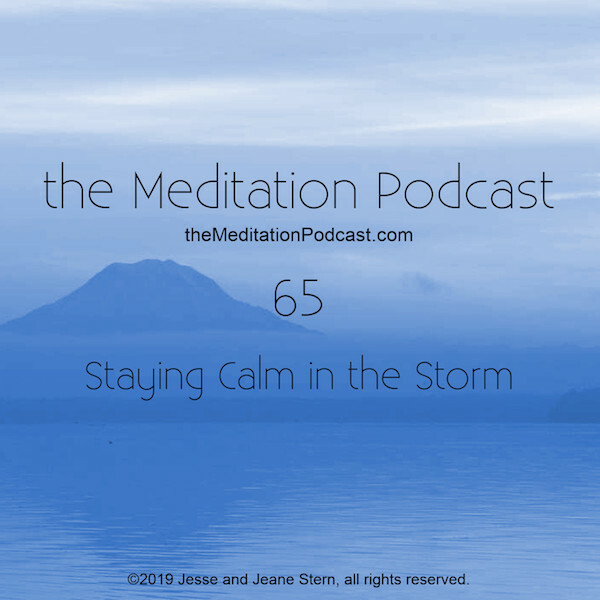 Our latest meditations are always available for free. Patreon subscribers gain access to our entire TMP archive. The Meditation Podcast is available wherever you get your podcasts. Do you ever just feel great? Balanced, confident, strong, yet relaxed? What if there was a way to cultivate feeling great? To massage our body, mind, and spirit? Through a simple visualization exercise? In today's meditation, we visit our Sacred Space to restore our body, mind, spirit, inspiration, and energy. By simply resting, while in a high vibrational state, we restore our ability to work efficiently, to rest fully, to function in a chaotic world, and to experience our daily lives with full presence and intention. As we start the New Year, many of us seek wealth or prosperity: a raise, a new car, a bigger house. Our goals reflect the desire for more money, more things. However, when we seek material prosperity, it's easy to miss the prosperity we already have – such as our health, our friendships, and family. In today's meditation, we recognize our present prosperity in areas including – but not limited to – our financial and physical wealth. By acknowledging our current prosperity, we open the door for more blessings to come our way. Our Patreon subscribers get our undying gratitude – and access to the massive catalog of exclusive content in our TMP archive. Our ears serve us not only for hearing, listening and communicating; but our inner ears are also the center for balance, equilibrium, and stability. The modern world can be an onslaught of noise, imbalance, and instability. For people, this onslaught may lead to selective hearing, tinnitus, dizziness, and tuning out. When preparing for a major life event -- such as surgery, childbirth, marriage, career change, or moving to a new home -- we often experience a mix of excitement, anxiety, and fear of the unknown. We may feel comfortable in our old state of being, even if the new state of being will be much more healthy, happy, productive, and beneficial for us. It is in our nature to want to feel love in our lives. This feeling brings a sense of warmth and security. However, we often look to outside forces and other people for the love that we seek. Our capacity to experience love in relationships is limited by how we love ourselves. In our DNA, we carry the grief, anger, fear, addictions, and physical toxins that belonged to our ancestors. This is one of the most powerful ways that parents pass such afflictions to our children and grandchildren. It can lead us to remain stuck for generations in a cycle of mental imbalance or destructive behavior. Intense emotions – such as anger, grief and fear – serve to protect us by putting us in heightened states of awareness. However, once they have served their purpose, we often find it difficult to let go of them. When we can't let go, the experience can leave us feeling traumatized or stuck. 49 - Food, Glorious Food! This podcast is for personal use only. Please do not redistribute, sell, or upload any material from this podcast. Use of this podcast in a money-making business (including but not limited to a clinic, spa, retreat, or in sessions with client) is not permitted unless by our express consent via written agreement. By listening to or downloading any audio from this site you indicate that you have understood and agreed to these terms.